…Upon seeing wonders of nature. It seemed a bit late in the morning to be heading out for my walk the other day . . . nearly 9:30 am already. . . I never go birding that late! By then, the sun is getting hot and high in the sky, and mid-morning is generally past the birds’ most active early time, so there is usually less to see. But, much to my delight, there were many beautiful sights and sounds – what a joy it turned out to be! Another day, another bounty of nature! 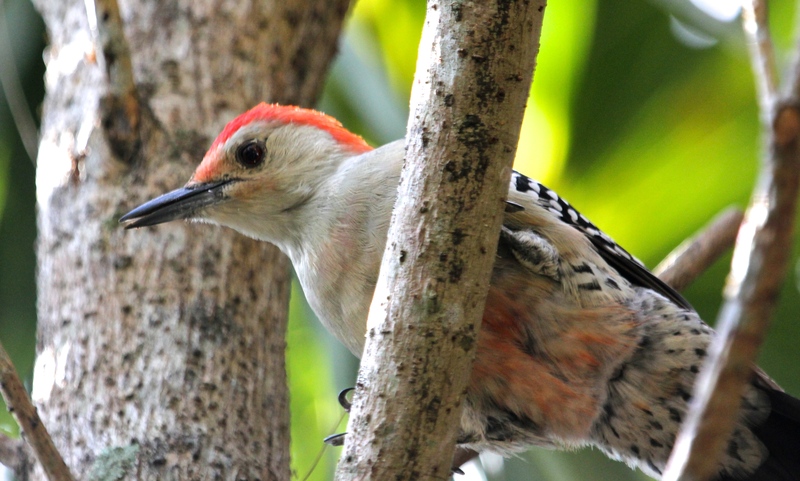 One of the most special moments was watching this cheerful Red-bellied Woodpecker flitting playfully about, directly over my head. Blessed are you, G-d, King of the Universe, who has created such things in His world. There are beautiful Hebrew blessings for an endless number of experiences: blessings over the scent of fragrant trees or shrubs, another for herbs, grasses or flowers, another over fragrant fruits, another for seeing a rainbow. 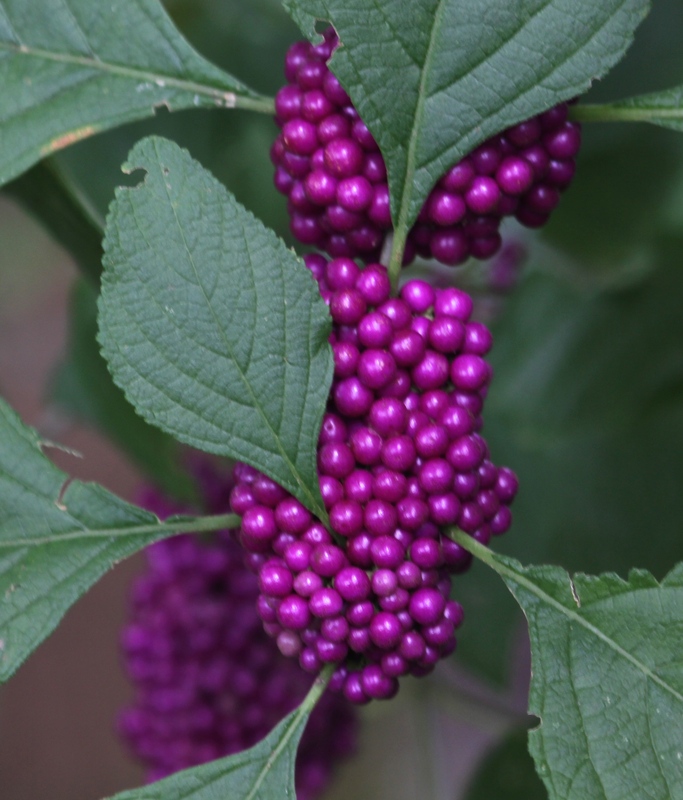 Some would use the following blessing for other wonders of nature, maybe even upon seeing these incredible BeautyBerries below! Blessed are you, G-d, King of the Universe, Author of Creation. I am blessed to live in a place that allows me to walk daily among the plants and the wildlife in beautiful natural settings – all year round. This year, I must really focus on identifying more butterflies. I know the names of several of the common butterflies in our region, but lately I have observed many others that are new to me – always more to learn. 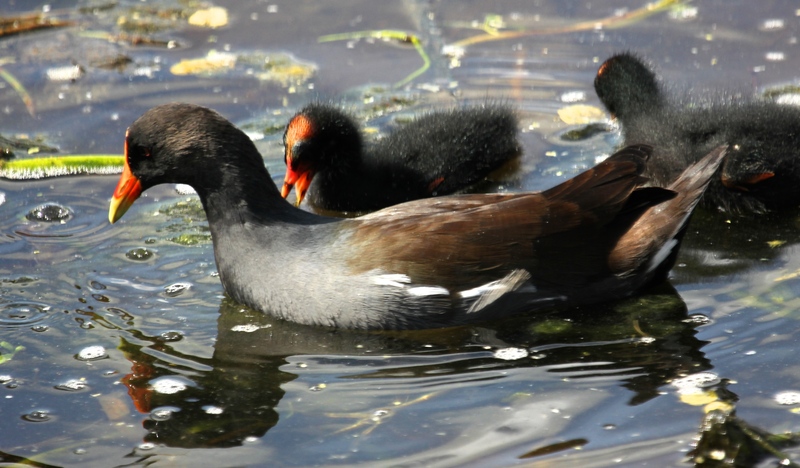 or these parent Common Gallinules (Moorhens) teaching their chicks how to find the yummiest plants. 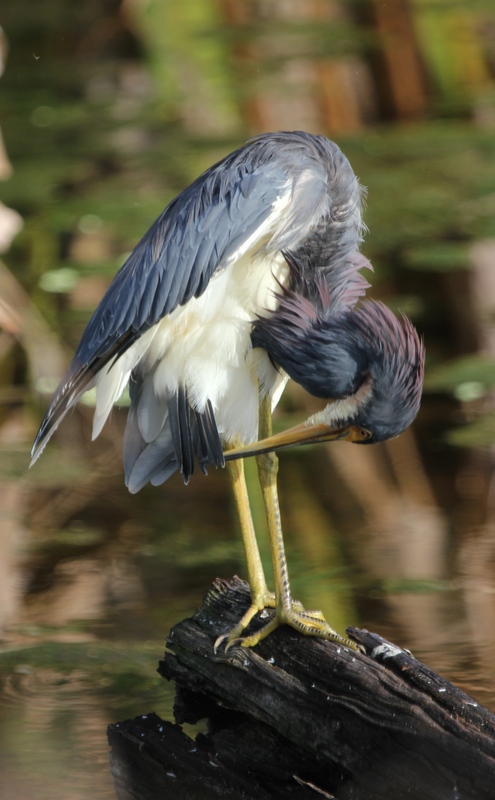 The Tri-colored Herons are keeping themselves fancy, preening their fluff! One of these days, I should gather all my recent TCH pics into one blog post just to illustrate how much variation there is in how they look over the period of 7-8 months, from breeding colors, to babies, to various stages from juveniles to mature adults. 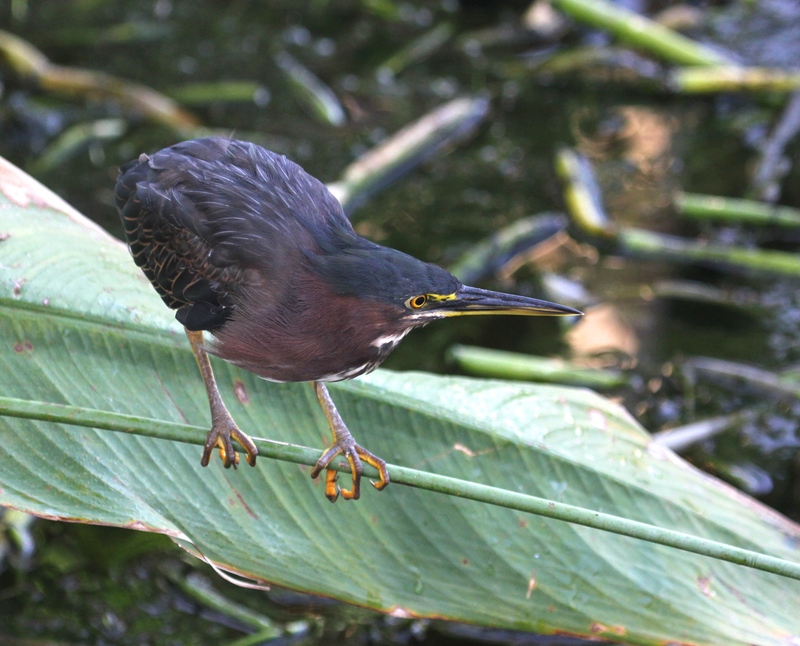 This entry was posted in Birds, Judaism-Birds Connections, Marsh/Wetlands, Nature and tagged Common Gallinule, Green Heron, Red-bellied Woodpecker, Tri-colored Heron. Bookmark the permalink. Great assortment of beautiful shots of the various insects and birds–I love the butterflies especially. I definitely would love to see more shots of the Tri-colored Herons, a species that we don’t have where I live. Always love seeing the cool little greenie! Mrs. Moorhen and her babies are a real treat too! Thank you for your visit and comments, Phil. So glad I was lucky enough to come across your wonderful blog. I love the photos! I am a diehard heron fan, any tone, and especially love the Great White Egrets. I am always saying the nature Blessing. I journey with my eyes wide open, everywhere I go. The simple weed is a beauty to my eyes. Thanks for sharing your beautiful comments, and for your interest, Lorri. Enjoy this festive time ~!